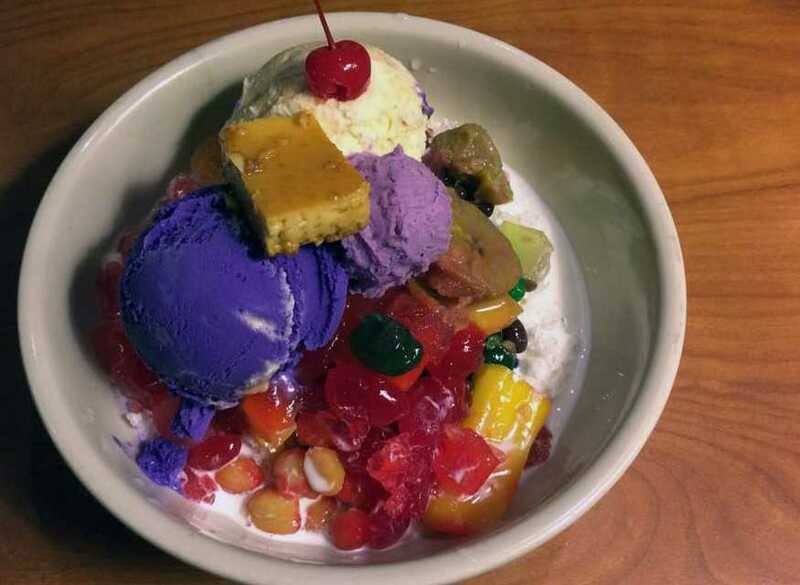 Halo-halo (pronounced: ha-loh ha-loh, not hey-low hey-low) is a colorful traditional Filipino dessert that resembles an ice cream sundae. 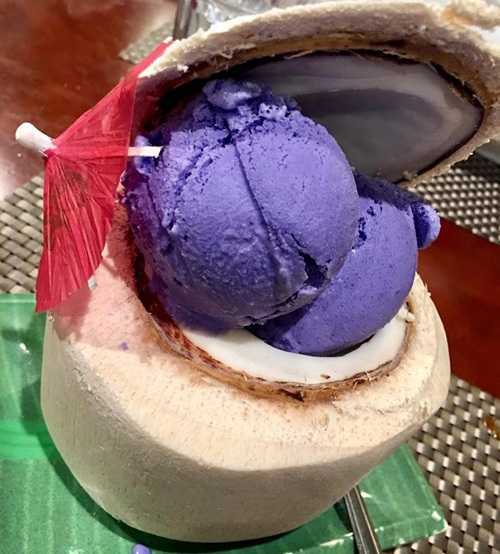 It literally translates to “mix mix” which is appropriate since it is a combination of several Filipino ingredients that are mixed together when eaten. 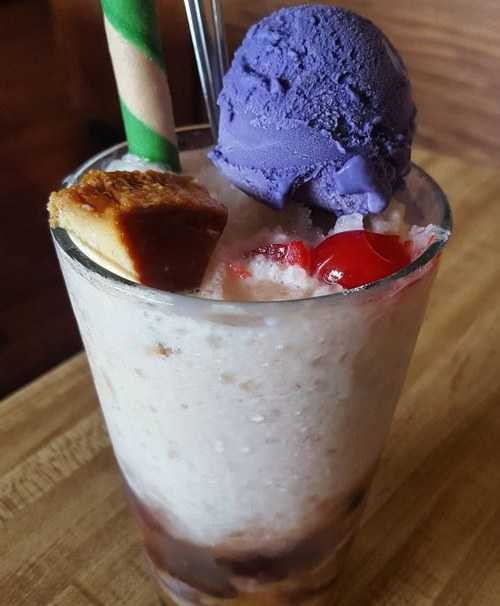 Halo-halo usually consists of: shaved ice, evaporated milk, sweet beans, coconut, jackfruit, sago (similar to tapioca) and gulaman (sweet jelly) topped with ube ice cream and pinipig (young toasted rice). 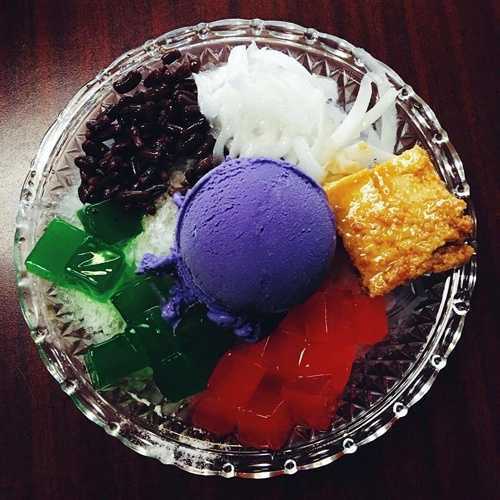 Although this rainbow colored dessert has been a staple in Philippine culture since the early 20th century, it has gained exposure in the US in the 2010’s (nearly a century after its invention) thanks to TV shows like Top Chef and Anthony Bourdain: Parts Unknown. 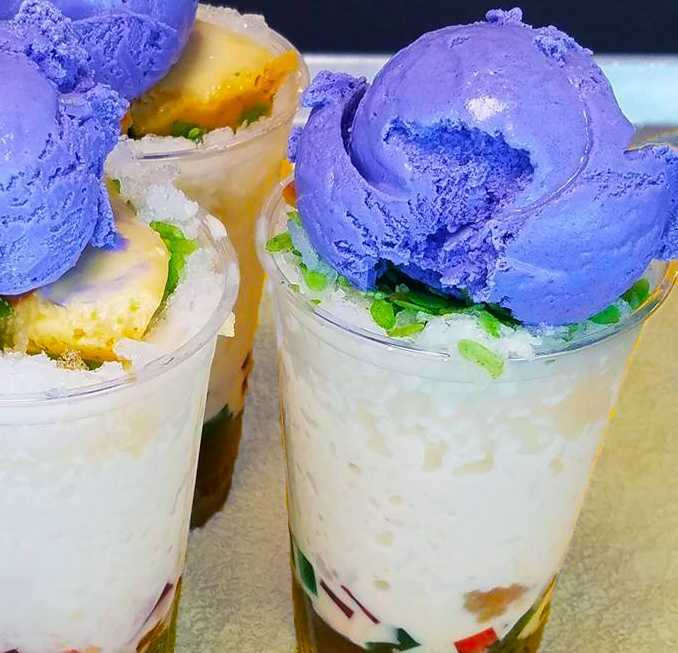 Looking for more places that serve halo-halo? You can find them on Glutto right here. 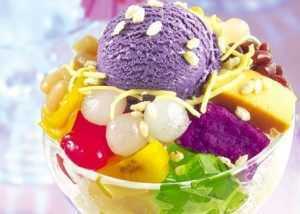 Halo-halo is really easy to make. The most complicated part is making sure you have the right ingredients, which can usually be found online or at your local International/Asian market. Here’s a straightforward recipe that you can also save for later on Glutto. 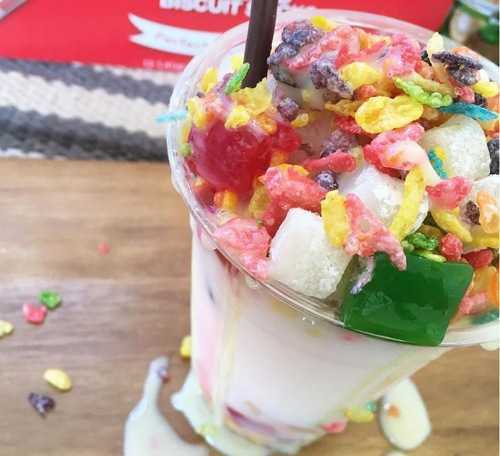 Put the shaved ice in a tall glass and pour all the milk on it. 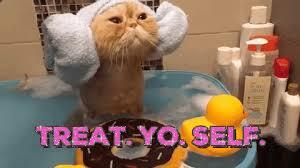 Add all the other ingredients one by one and top with the ice cream. 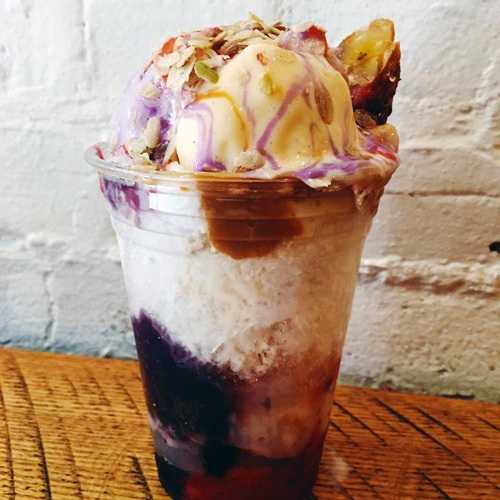 Mix your halo halo with a long spoon and enjoy!